One of the most counterfeited designs in the muzzle brake market!! We began selling this design in 2012 and since then the Chinese have had a lot of fun copying this effective design. But now we must move on and design the next Extreme Duty TriDelta that will surely be copied by the shameless bottom-feeding manufacturers and importers. This is your chance to get the ORIGINAL EDT brake at the rock bottom price. Choose the real deal, choose the ORIGINAL Extreme Duty TriDelta Muzzle Brake!! 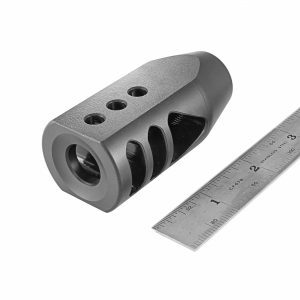 We have some new thread and bore combinations for the Extreme Duty TriDelta muzzle brakes. 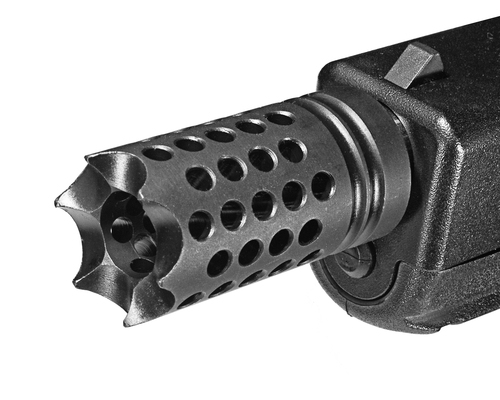 The Extreme Duty Low Concussion Rifle Muzzle Brakes will be shipping on 7/8/2015! Pre-orders are accepted (this one is moving fast!). 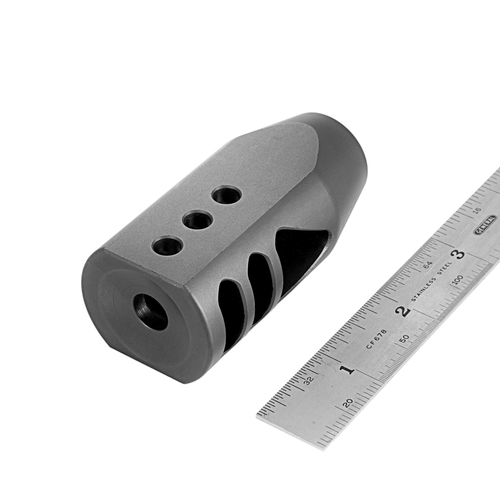 We have expanded our line of pistol muzzle brakes to include all the Glock (and others) factory METRIC threaded barrels! We have also included a 1/2-36 thread for the 9mm M4/AR15 carbines and pistols!!! I put this brake on my Panther LR -308 and I was very happy I did. It works flawlessly. I would suggest this brake to anyone that has a 308. I used a smaller brake but it didn’t work very well at all. After installing the TriDelta, I noticed how the recoil of my rifle had lost at least 50%. My friend shot my rifle and was also amazed. ,I would suggest this brake to anyone. Good Product. Mounted this on my Savage 10fcp, reduced recoil by 50% easily and looks great. I received it in 2 days after ordering the standard free shipping. I does not come with crush washers which I purchased separately. Indexing it was a piece of cake. 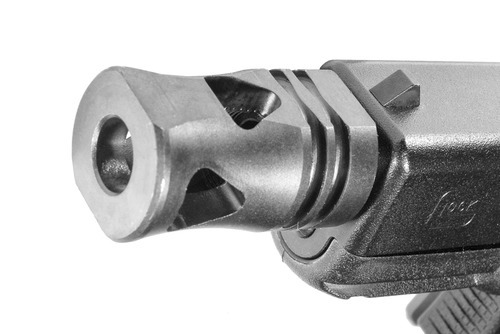 via Amazon.com : TriDelta Extreme Duty Muzzle Brake USA : Gun Barrels And Accessories : Sports & Outdoors.